The winner of this year’s Oscar for animated short is Logorama, a wonderful inspirational design classic… that’s also a great quiz…. can you name all the logos used in its beautiful construction*? 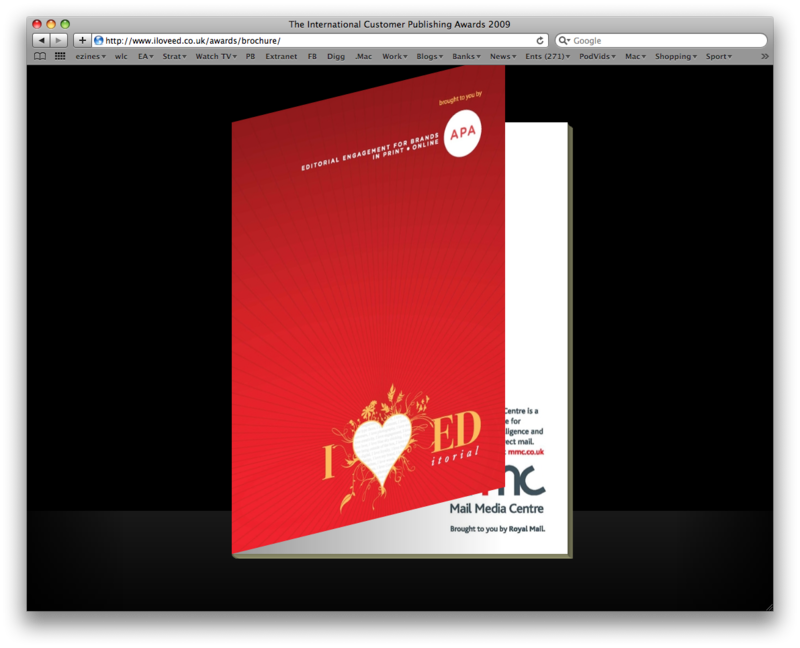 We won for Best Specialist Communication for Roland and were highly commended for Integrated Marketing Solution! 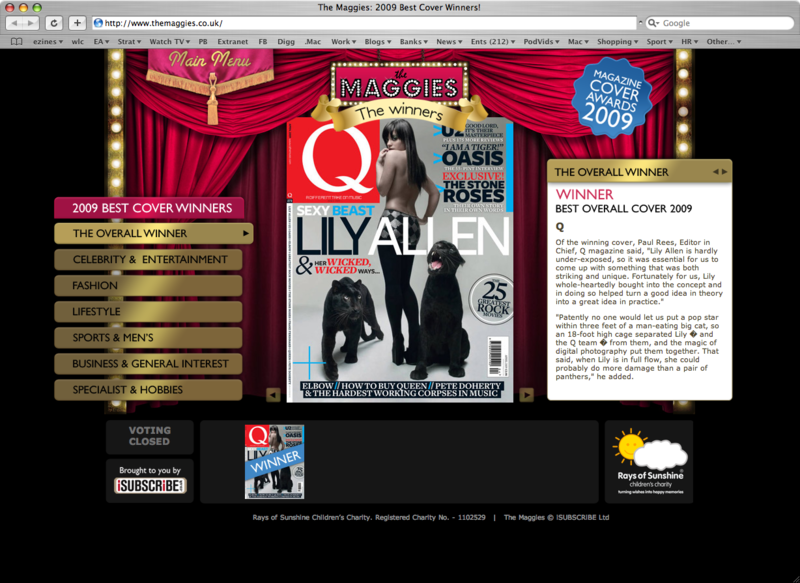 Click here to see the winners brochure (pages 28 and 33). Who's that between Martyn and Jenks? 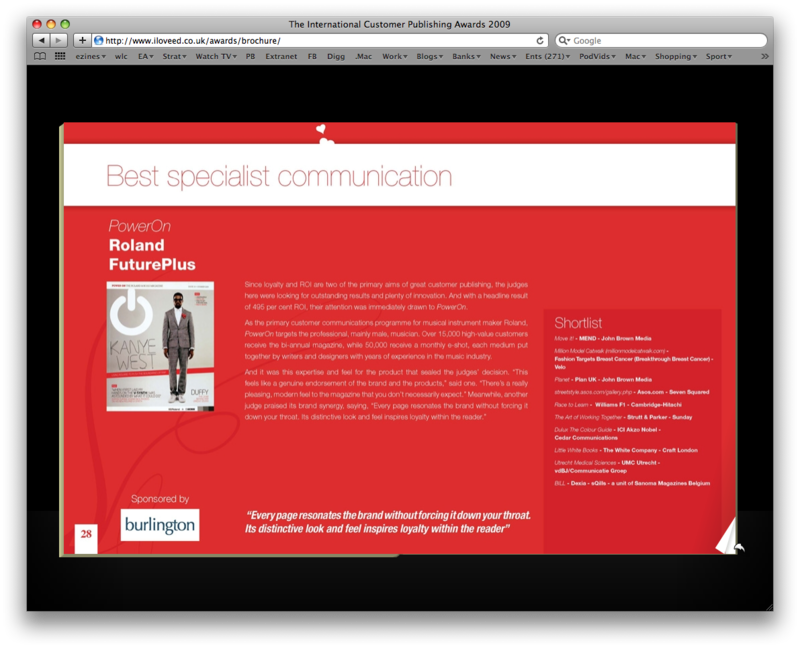 APA Love FuturePlus Creative too! 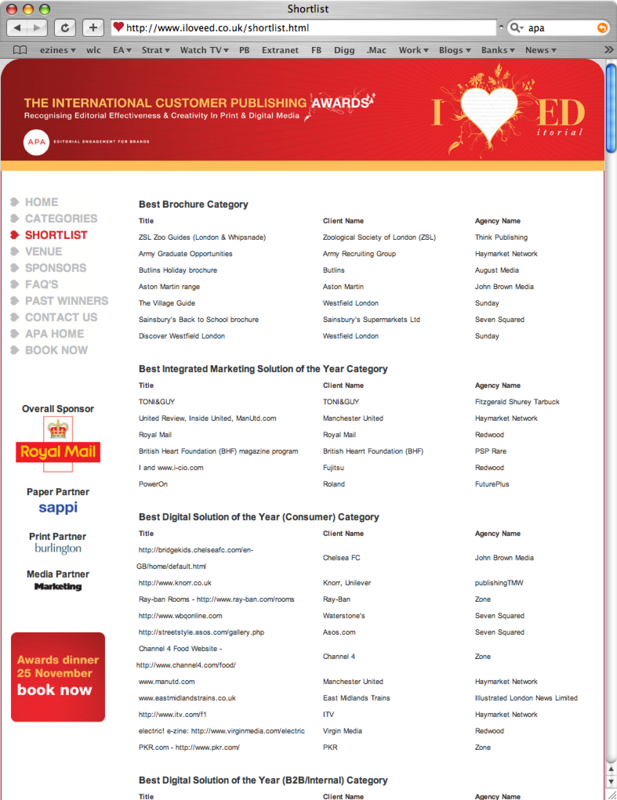 Future Plus has been shortlisted for five awards at the 2009 International Customer Publishing Awards. 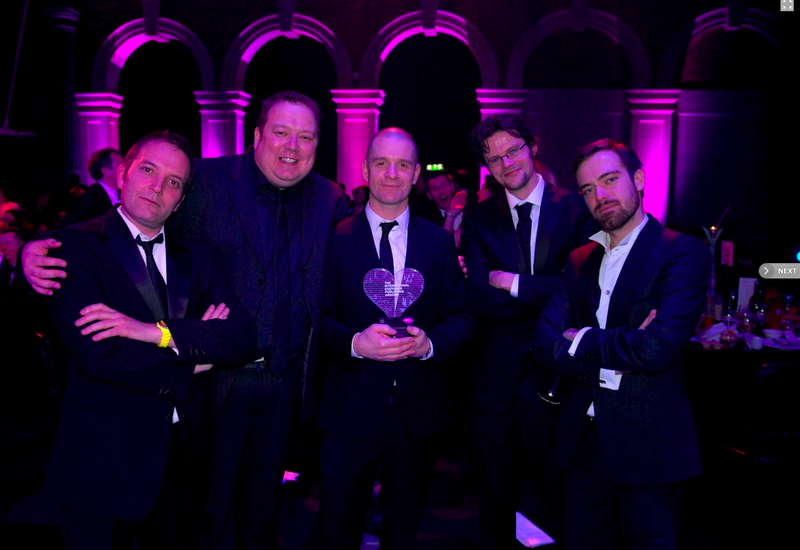 Congratulations go to the team for making the final cut in categories such as Editor of the Year and Best Integrated Marketing Solution. Run by the Association of Publishing Agencies (APA), Future’s titles have been picked out to compete against publications from the likes of Redwood, Haymarket and John Brown. Second-round judging begins this week where 50 senior media figures will choose winners in the 25 categories. Winners will be announced at a ceremony on 25th November at Old Billingsgate in London. FuturePlus UK Director Jayne Caple says: “This is the first year that these awards have been opened up to international agencies and as a result the number of entries rose by over 50%. Of course, that makes this news all the sweeter and we are all delighted. This is another one of those amazingly/annoyingly simple ideas that just work. Pin badge sized fridge magnets that act as a calendar. This won a graphic design award at the Kiev International Advertising Festival and should, hope fully be hitting the shops soonish. Click here to see the results of the publicly voted magazine covers of the year. Really striking and simple-to-navigate microsite too.